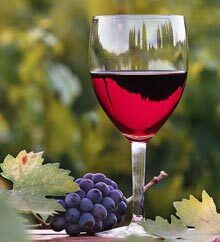 Trinity County has plenty of great tasting wine. Feel free to explore and try Meredith Family Vineyards, One Maple Winery & Alpen Cellars. Come fish and enjoy our local rivers, lakes and streams. Fly fishing guide service and lessons are available at the Trinity Fly Shop, (530) 623-6757 (Quality equipment outfitters and rentals). Few locations in California offer fishing enthusiasts the diversity of fishing available in Trinity County. Trinity Lake, Lewiston Lake and the Trinity River provide excellent year-round opportunities. Trinity Lake and Lewiston Lake boast abundant rainbow, brown, brook, kokanee, and trophy large and small mouth bass. 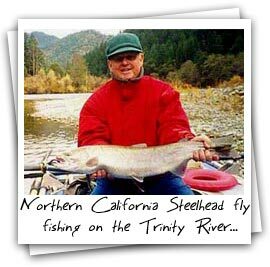 The Trinity river supports legendary steelhead, brown trout, and two (summer and winter) salmon runs! Enjoy water sports on nearby Trinity lake such as swimming, boating and water skiing. Boats may be rented at nearby marina for all these activities. 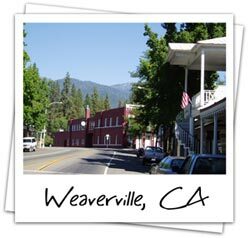 In the historic town of Weaverville, guests can enjoy a tour around the Joss House, visit the museum, go shopping at local stores, gaze at beautiful art, antiques, and craft shops. Play a round of golf on the beautiful Trinity Alps Golf Course and enjoy the Johnson Steak House next door. Guests can also try the La Grange. All available just 12 miles from the cabin. Other nearby services include bar, video rentals, Prime Cinema's convenience store, and a gas station. 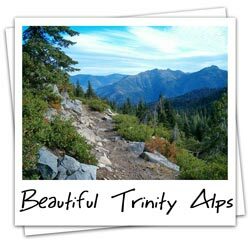 Hiking/Backpacking trips into the majestic Trinity Alps (over 100 highmountain lakes, accessible by hiking trails). For further information you may call 530.623.5213 or e-mail info@oldbridgecabin.com.